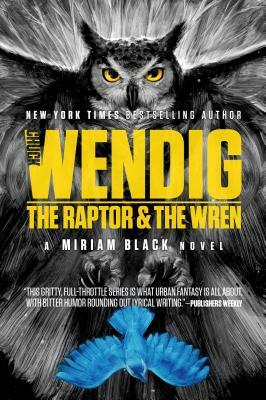 The Raptor & the Wren (Miriam Black #5) (Paperback) | Let's Play Books! In the fifth book of the “wildly entertaining” (Kirkus Reviews) Miriam Black series, Miriam continues her journey to find answers on how to change her fate and begin to make right some of what she’s done wrong. Armed with new knowledge that suggests a great sacrifice must be made to change her fate, Miriam continues her quest and learns that she must undo the tragedies of her past to move forward. "Wendig is in top form for his fifth horror-thriller. Wendig expertly splashes Miriam’s considerable emotional pain across the page, never sparing her the price of her gut-wrenching circumstances, and closes with a shocking twist that is a true game-changer."